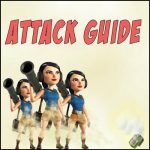 Attacking combinations | Boom Beach. All about the Game! ← All Zooka attacks! Examples. 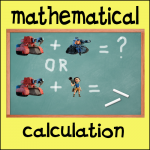 In the Boom Beach every player has nine types of attacking units to choose from. Such good variety allows to choose the right combination against almost any defense. I’m sure about that! Just as sure that the units should be selected depending on the position of defensive buildings on the selected for attack island. But anyway I’m sure that every player has his own favorite combination that he uses more frequently than others. 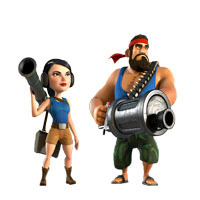 What is your favorite attacking combination in the Boom Beach? 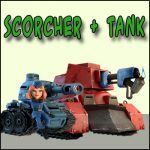 Scorchers and Tanks! This is the power! Scorchers and Zookas! This is the most effective combination! Tanks and Medics. Nothing can withstand against them! Tanks and Riflemen. I think it's a good combo! Heavies and Zookas. This is a classic of attack in the Boom Beach! 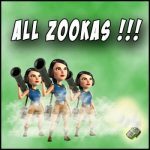 Full Zookas! And only them! They are super with a Smoke Screen. Warriors. Why to destroy everything if we can strike at the heart of enemy? Grenadiers and Medics. Personally I like this combination. Heavies, Zookas and Cryoneers. I'm for this team. Riflemen with Medics... or just Riflemen. I like a classical infantry attack. I don't have any favorite combination. I choose the units in depends on the situation. As for me, my favorite combination in the Boom Beach is the combination of Scorchers and Tanks. I really like when they destroy everything on enemy island. This is the combination of power! Also I like when players attack with only Zookas! I don’t know how they do that but that’s cool! 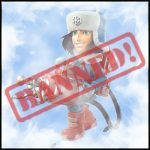 I’ve tried attack with full Zookas myself but the result was bad for me. Perhaps it’s not given to me! 🙂 Very good only Zooka attacks makes player IMPERA CATALISS (examples of his attacks are on his Youtube channel, where I actually saw them). P.S. This video belongs to Youtube user and Boom Beach player JessieZX7. Here is link to his channel. If you like this video you may subscribe to his channel! And for the last… don’t forget about the Rifleman! This unit can be very useful in some cases. Anyway I think so. 3 Responses to What is your favorite combination? Poll. I voted warriors because i relied on them to raid players for resources from HQ 17 to 22, in combination with T-meds for the NPC bases and operations. However i am now at a level (600 VP) where I encounter too many ice bases with prototypes and i have to find a new combo. I will try RZCM as soon as i can upgrade them a bit. It’s difficult to use only one combo on high level gameplay. I have a little bit more than 900 VP and in some cases I use warriors or AZ because RZCM is useless 🙂 But most of all I use Scank (scorchers and tanks)… This combo is very good against “bots” (NpC) – can destroy 5-6 bases in a row without any losses. It was a hard desicion but l went with tanks and medics because the tanks when they are a level 20 are really powerful and the medics heal the tanks. I highly recommend it .